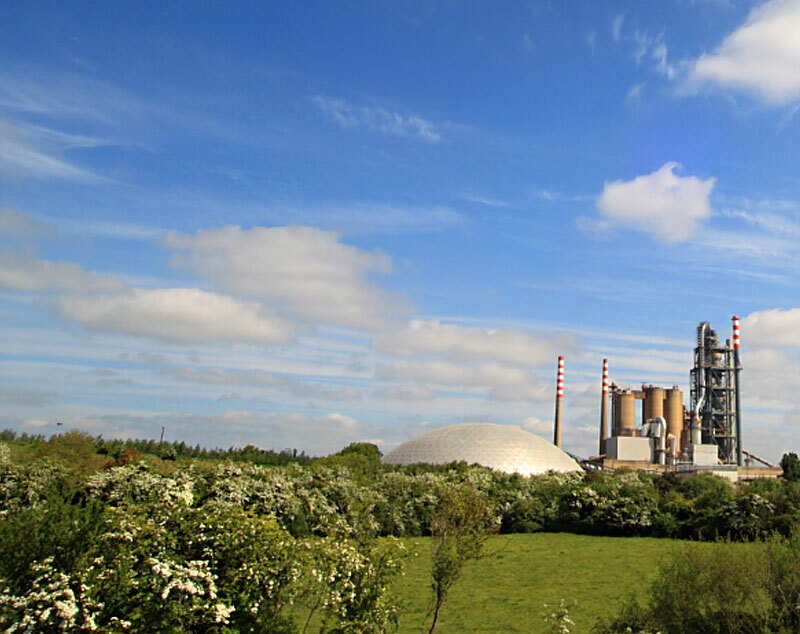 Irish Cement recognises that climate change is a major global challenge and is committed to playing its part by implementing practical improvements in its manufacturing processes and products. The actions taken at each of our operating locations to achieve our goals are summarised in the Investing in Our Future strategy booklets for Platin Works and Limerick Works. 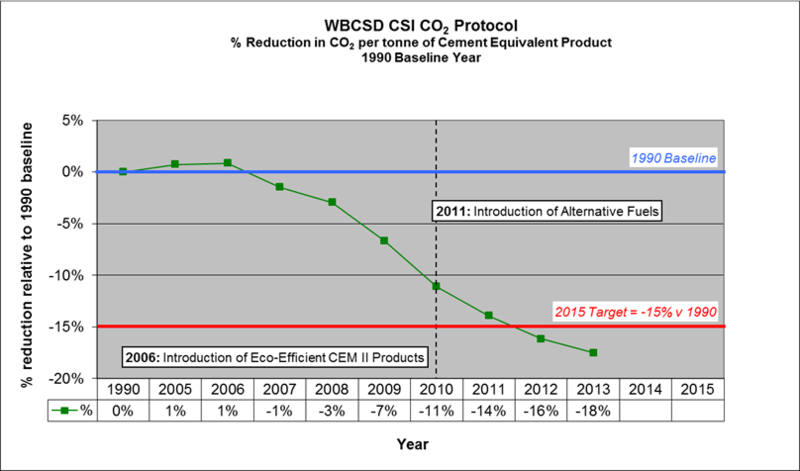 To ensure that these carbon improvement initiatives deliver real results, Irish Cement took a proactive stance by targeting a 15% reduction on 1990 levels in specific carbon dioxide (CO2) emissions by 2015. This Sustainability Target in the area of Climate Protection allows us to focus on making every tonne of Irish cement more eco-efficient even in times of market demand variability. Our current performance against the 2015 target is shown in the graph below. The baseline year (1990) is represented by 0% on the graph and the target of -15% by 2015 is also shown for reference. With the successful introduction to the market of CEM II Eco-efficient cement products, ongoing specific energy improvements within both facilities, and the commencement in 2011 of the substitution of our current fossil fuels with permitted Alternative Fuels we have achieved in 2012 a -16% level of specific CO2 reduction which has exceeded our -15% target 3 years ahead of schedule. During 2013 we will continue to ramp-up the substitution of our permitted Alternative Fuels usage thereby providing further CO2 improvements. As a participating company in the EU Emissions Trading Scheme, Irish Cement rigourously measures its process and fuel related CO2 emissions using EPA approved monitoring and reporting procedures. On an annual basis, the CO2 emissions for each facility are audited and verified by the National Standards Authority of Ireland and reported to the EPA.